The Armed Services YMCA of Lawton Fort Sill held a family picnic Aug. 2 to show appreciation to young enlisted Fort Sill service members and their families, and to those who support them. 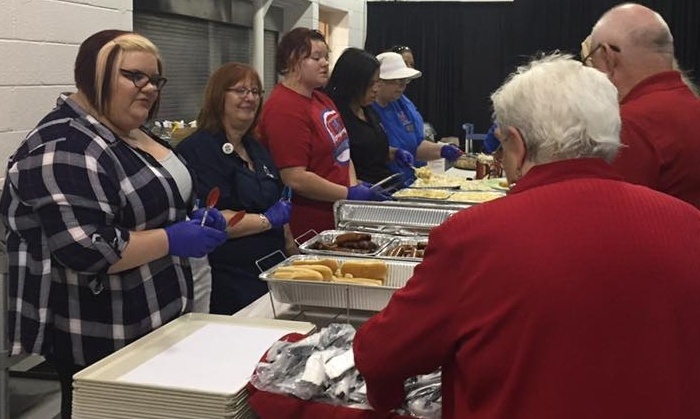 G6 was instrumental in providing a $500 donation to purchase food and supplies and provided a team of seven volunteers to help prepare and serve the food. These wonderful volunteers came from all over Oklahoma: Oklahoma City, Stillwater, and Lawton, and a couple came from as far arway as Dallas, Texas, to help. Families and service members will be better served thanks to our partners at G6 Hospitality, the parent company of Motel 6 and Studio 6. After seeing the impact of the programs and services delivered by the Armed Services AYMCA at Twentynine Palms, Matthew Smith-Rinehart Manager of the local Motel 6, resolved to help. Kevin Washington, President and CEO of the YMCA of the USA, paid a surprise visit on the Armed Services YMCA as they held their Annual Executive Director Conference, in Kansas City, MO., in conjunction with the YMCA's General Assembly. Representatives from YMCA Finland met with the leadership of the Armed Services YCMA in Springfield, Va., today in an effort to better understand the programs and services provided to junior enlisted active duty military members and their families across the United States. The 10th Anniversary Angels of the Battlefield Awards Gala Honorary Committee held an informational luncheon Sep. 7, to discuss the event which will be held Nov. 4, at the Ritz Carlton in Pentagon City. Suzie Schwartz graciously hosted the luncheon at her home in McLean, Va. Schwartz is a long-time supporter of the Armed Services YMCA and the "Angels" event. 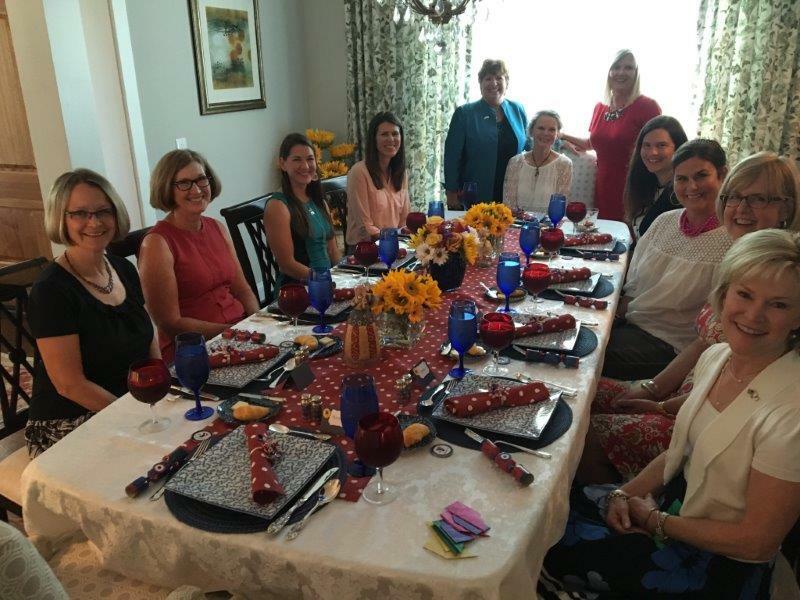 (Photo: L to R) Josi Hunt, Beth Anderson, Michelle Aikman, Lynne Uribe, Monika French, Julie Luckey, Suzie Schwartz, Natasha Harth, Gloria Robb, Michelle Faison, and Dawn Goldfein gathered for the Host Committee luncheon Sep. 7. Vice Adm., USN (Ret), William French, President | CEO of the Armed Services YMCA visited with the staff of Equest at their Dallas-based facility today. 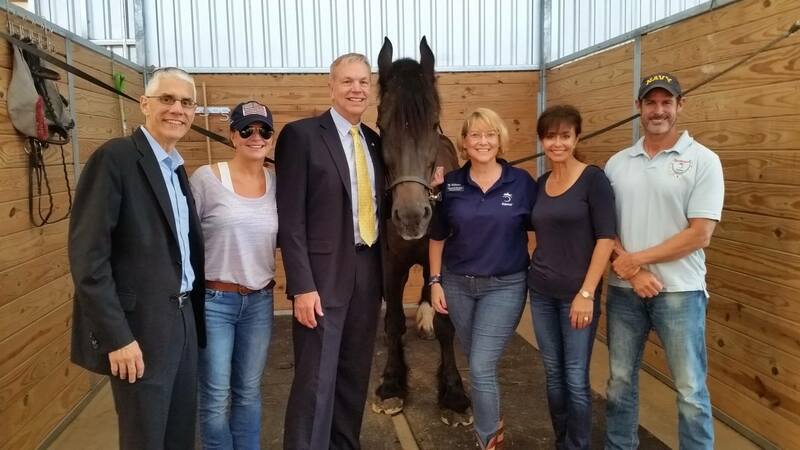 French was able to see first hand the horse therapy Equest provides to veterans in need of additional support. 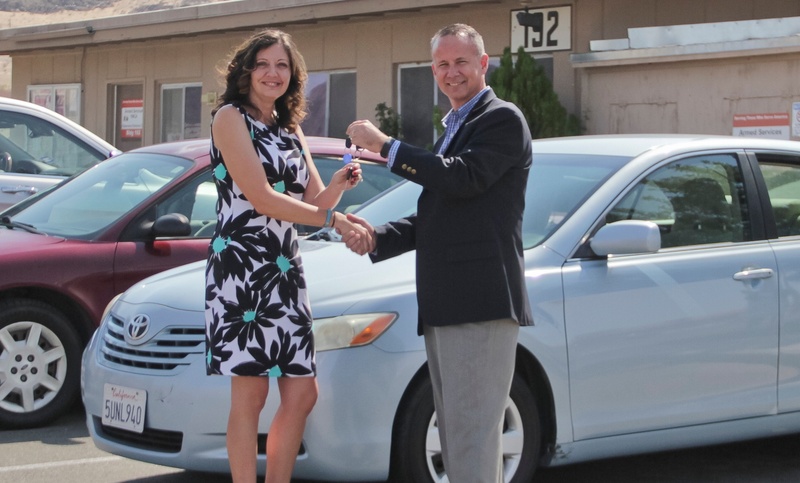 Twentynine Palms -- Motel 6 donated two cars to the Armed Services YCMA - Twentynine Palms, Thursday, Aug. 25, which will be used to support the men, women, and families living on base here. The donation will enable the ASYMCA to provide better support to the military community. William French, Vice Adm, USN (Ret. 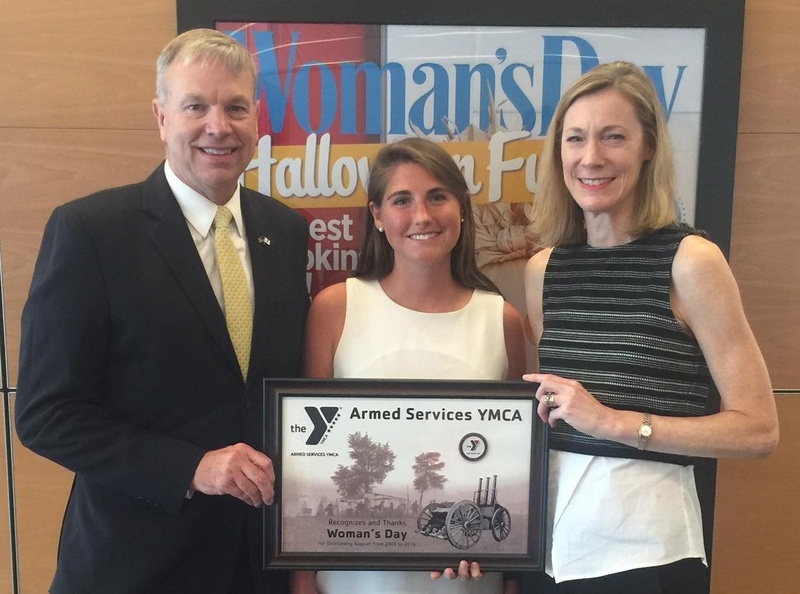 ), President | CEO of the Armed Services YMCA presents Hendley Badcock, Editorial Assistant, Woman's Day, and Susan Spencer, Editor-in-Chief, Woman's Day, with a token of appreciation for supporting the men, women, and families of the military since 2005.